Welcome to Officeway! It’s no accident that Officeway Office Furniture is still going strong after over 25 years. We are well respected for our professionalism and service. Our core value is to be customer focused. Every decision we make within our company is driven by this value. Whether you need a single chair or desk or a complete office furniture refurbishment, we have the experience and expertise to advise the best solution to suit your exact needs. 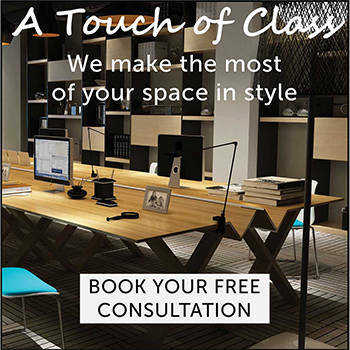 We even can assist you with designing the furniture layout for you. We have furniture to suit every office. Officeway supplies custom made, locally produced furniture as well as pre-made fast turnaround furniture. We have the latest modern trends as well as the classic and traditional. We are here to make the process as simple and easy as possible. Your time is precious. Don’t waste hours of it trying to work out a furniture layout when you could be working on your area of expertise. We have the experience and knowledge to know things such as where power supply is coming from, how much space to allow for walkways, cupboard doors opening, space between staff, and all the rest. Are you ready to get your office needs sorted once and for all? Here are here to help you. Get in touch today.